A « semi-private» guided walking tour is perfect to discover Old Quebec. Join a small group (8 or less) and stroll around the city’s most quaint streets with a certified guide. 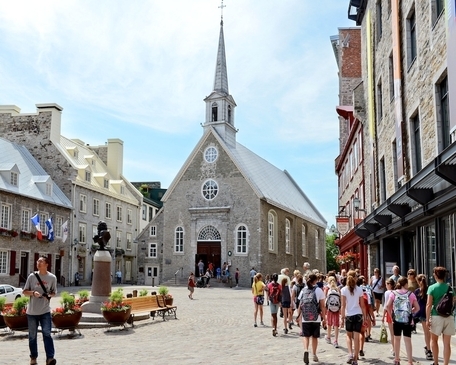 The departure of this guided walking tour is at the Notre-Dame-des-Victoires Church plaza, located in Place Royale at 13h00. 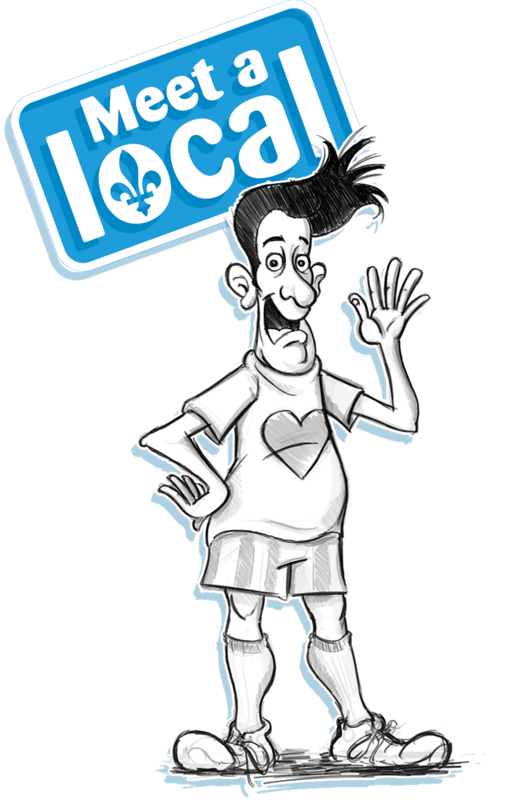 To make you dive deeper into the heart of French America, our guide will share with you some of our most famous «Quebeckers» expressions. More details about this Quebec City guided walking tour are listed below. We are Canadians, we are Quebeckers, we are francophones. In our veins runs the blood of our ancestors; Native American, French, British, Irish and Scottish. We are a happy mixture of all these great nations. We have an accent, “l’Accent d’Amérique” and we are proud of it. Our French language is alive and well, you will hear it on the streets! We are friendly, we are open to people; always have been, always will be. Come meet us on a tour, come meet a local. A funicular ticket because we do have “The Cap Diamant”! This tour is offered on a daily basis, from June 1st to October 15th. The departure is at 13h00.